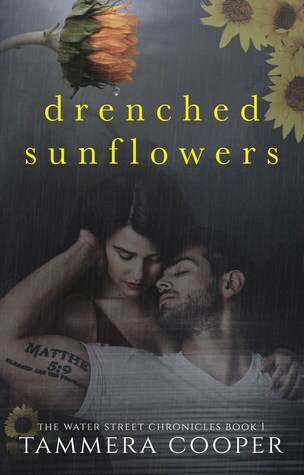 This week is my book tour for Drenched Sunflowers. When I was looking for options for book tours, I struggled with finding the time to visit with my readers in my work week. HR is my primary job and takes up the majority of my week. On my days off, I write. It doesn't leave much time for fun things like book tours. And traveling to all the locations for signings seemed impossible. Talking with my readers and answering questions about the Water Street Chronicles are inspirational to me. It gets the creative juices going and lets the words flow into my document. But its a new age. Social media makes our lives easier as writers and it creates lots of distractions. Information and research are at our fingertips. The experts that we need to make the story ring true are accessible through messaging apps. Then there are the distractions that pull us in and keep us away from what we set out to do. Book tours online have morphed into social media conversation starters, which as an introvert I appreciate. Thank you to Loving the Book for organizing the event. So this week, ask me anything you would like. I will be checking the book tour page on my breaks at work and after. I have been working on answers on questions that I might get. We might even share some secrets. A lot of people have asked, "how do I get a signed copy of your book?" Here is your chance to get a signed copy and visit with me. I will be available to answer questions and visit. The museum will be open for tours. It is where it all began for Drenched Sunflowers.